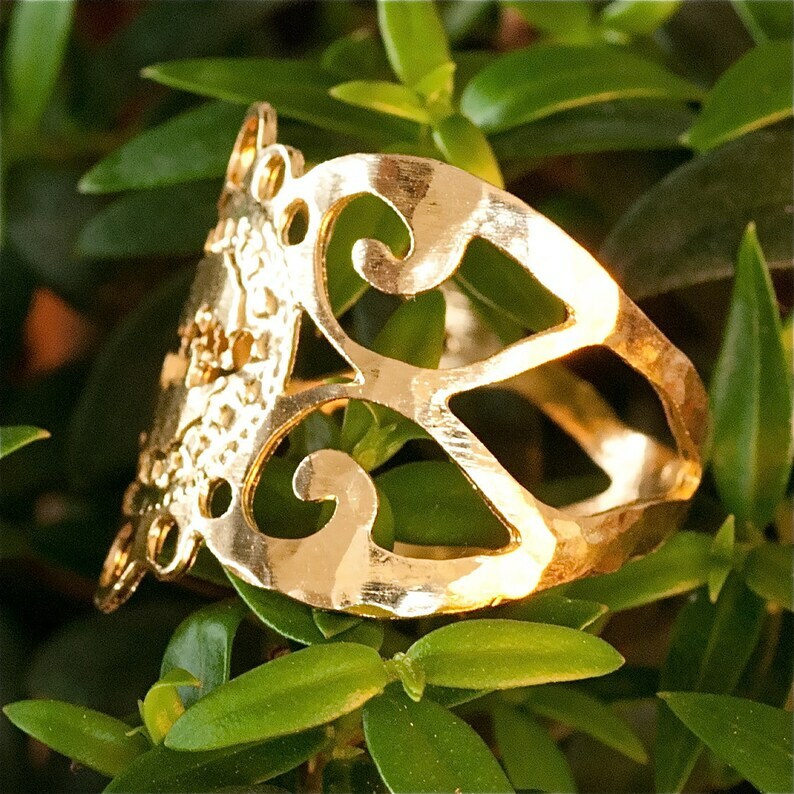 Gold ring with the sacred name SAH with a spiral victorian design. The front is about 3/4 inch wide. Made of super thick 24 karat gold plated brass. The thickness of the plating is like gold filled jewelry, it's just a different process. The design is delicate but the metal in this ring is very strong, and the plating is very durable. Thank you for looking at my Kabbalah gold SAH ring! I also make other judaica jewelry in my shop, and I'd love for you to stop by and check out the other rings and the rest of the jewelry sometime. Beautiful design & even brighter gold shade than my first Kelka ring, if possible!